CUSTOM BUILT home with so much to offer! This home is warm and inviting with its knotty pine decor and generous room sizes throughout. In the heart of the home, the large eat-in kitchen features oak cabinets, granite counters and newer appliances. 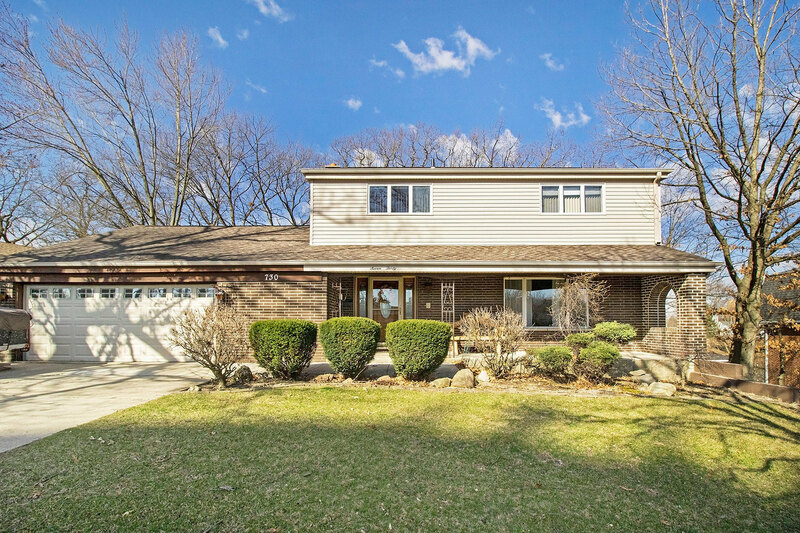 It opens to the the sunken family room w/ brick wood burning fireplace and SGD with views of an expansive wooded backyard! Living room & dining room w/new carpet & freshly painted. Upstairs leads to 4 bedrooms including the master suite with private bath. Many other great amenities include an unfinished walk-out basement, 3 radiant heating zones, A/C(2017), heated 2+ car attached garage, newer roof(2010) & siding. Perfect price point to make this home your own with your decorating touch. Great location minutes away from shopping, dining, train station, interstate and schools. Home to the Award winning Blue Ribbon Lemont High School!